Sweet Piper Jane is in love with Madeline and all things Paris. She decided on she wanted a Madeline birthday party soon after the Sprinkle Party last year. 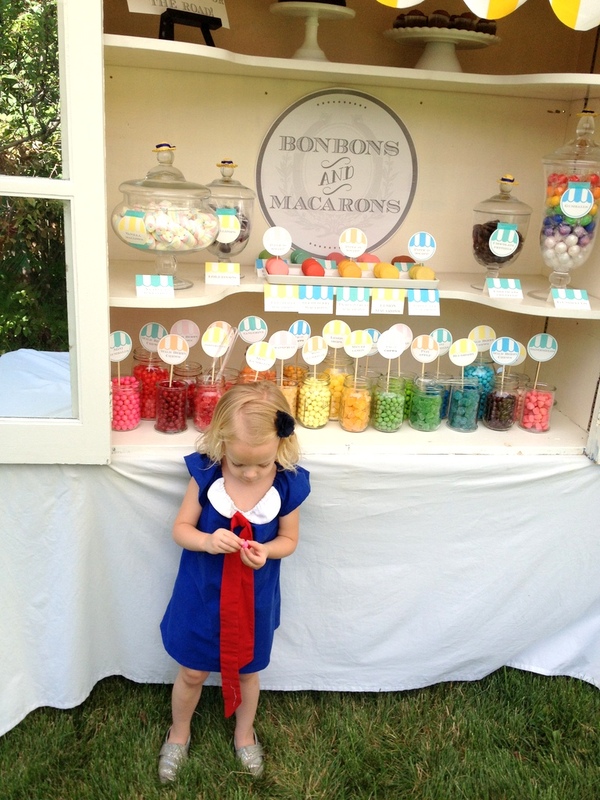 The birthday party was a huge hit (there was even a Sweet Shoppe, complete with a rainbow of french macarons, so you know our Little Miss Sweet Tooth was a happy girl!). 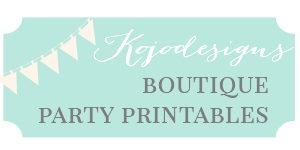 Since Piper Jane decided on her party theme so early on (and stuck with the same one! ), she had tons of time to formulate special requests. Like Sweet Shoppes. 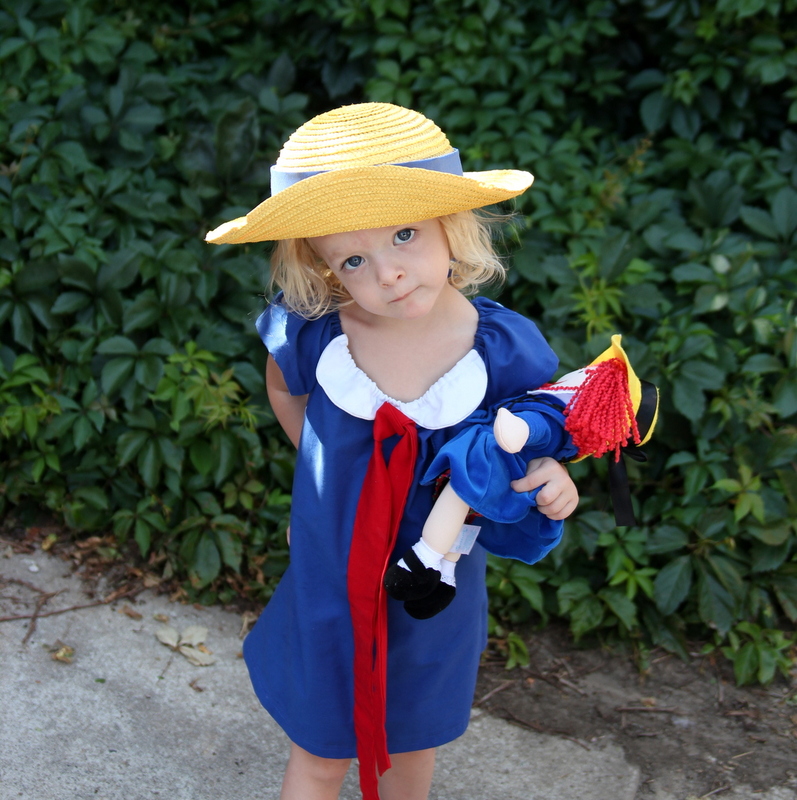 And ‘a blue Madeline dress with a red bow, and a yellow hat, just like Madeline.” I’ve mentioned before that my kids are so sweet and thankful for the things that I make them, so I try to accommodate special requests if they’re do-able. And a Madeline dress was totally do-able. 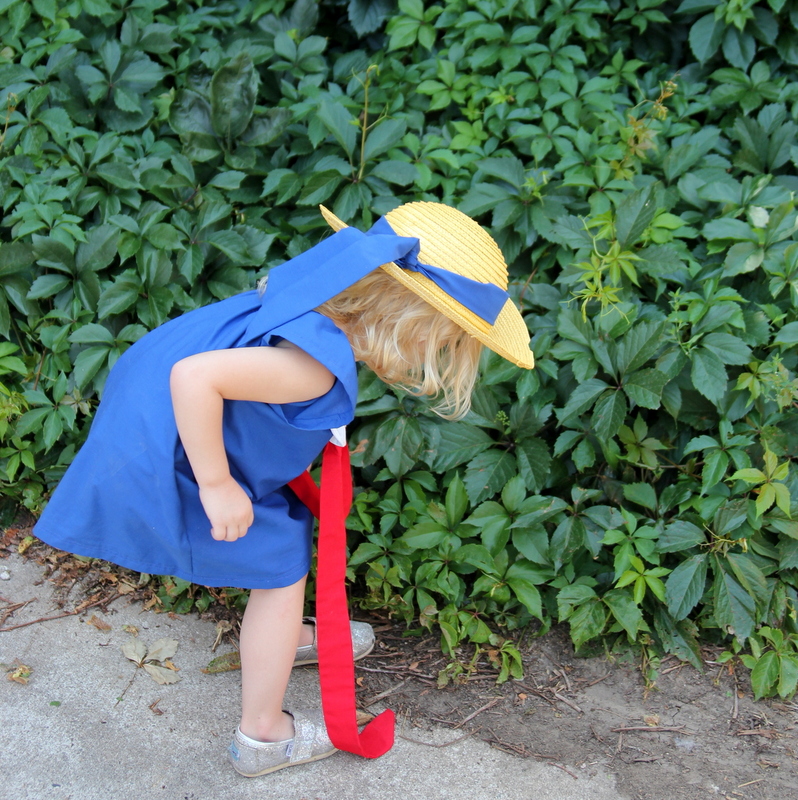 To make this Madeline dress, I started with the Sweet Little Dress pattern by Leila and Ben (I made it in blue, of course). Then, I added a Peter Pan collar and red bow (I was going to do a tutorial, but ended up fussing with it quite a bit… I like the tutorial here by Simple Simon, though, if you need one). ps- The hat is a straw hat, spray painted yellow (on the outside). I added a sash (from the same blue material I used to make the dress, though I think in the book the sash on the hat is black). 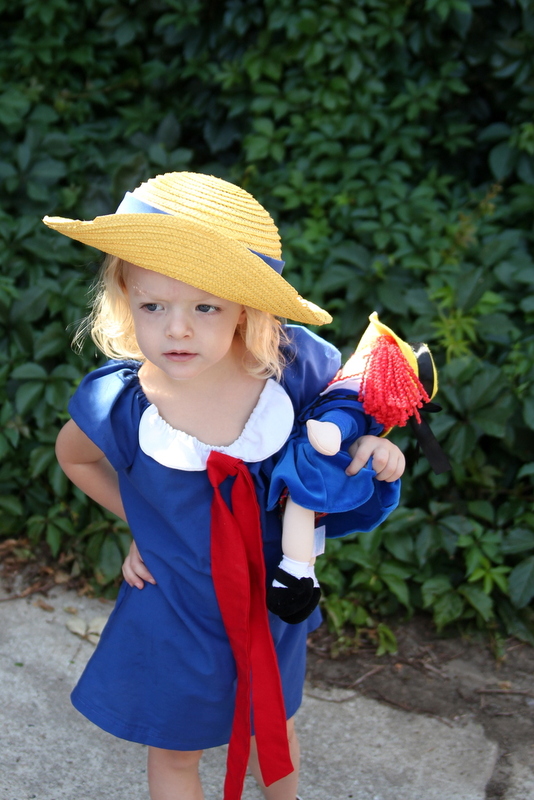 There is a Madeline hat available for order here as well (much simpler). That is the cutest little dress ever! I loved Madeline so much when I was a little girl. 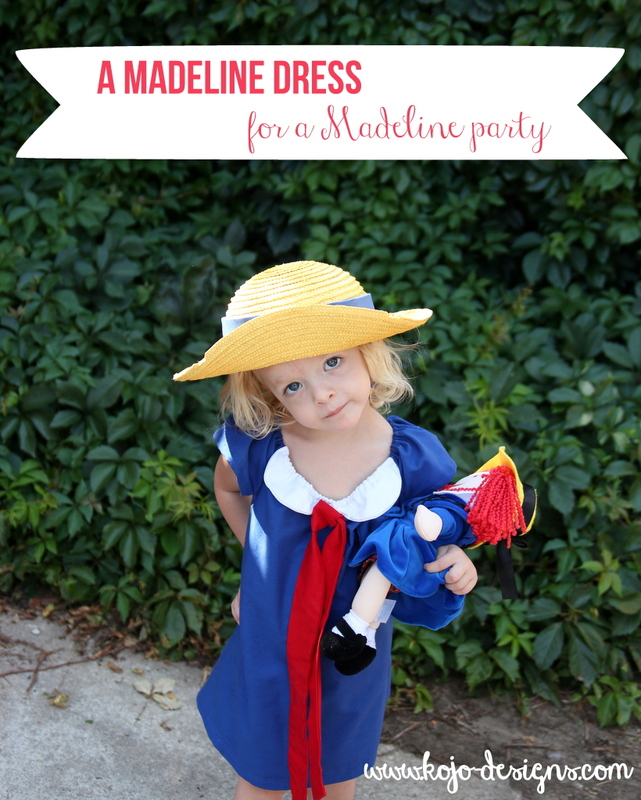 This is the cutest little Madeline ever… I saw this pretty party on Amy Atlas and you can imagine my delight to see that you linked to our Madeline hat. Thanks so much!